The Changing World of the World Cup Quarterfinals. The World Roots for Ghana in its game with Uruguay today. The games are held for the first time in Africa – South Africa that is. for the first time an African country has the chance to reach the semifinals of four teams. Now they are the only non-Latin South-cone or classic European team among the surviving 8 teams. The others are: Argentina, Brazil, Paraguay and Uruguay from the South of South America, and Germany, Netherlands, and Spain from the European clasics. The Wall Street Journal writes: “However bleak its prospects, Ghana has the backing of all of Africa. Former South African president Thabo Mbeki has called the team“Baghana, Baghana” – a play on Bafana, Bafana, the beloved South African team’s home nickname. In the US the feelings are mixed because of Ghana having been involved in eliminating the US both in 2006 and this year – but the US recognizes a good underdog and the chance for a good political win – SO – GO GHANA – GO! Whoever saw the movie/documentary – “A Beautiful Game” – recognizes the magic of soccer in Nation Building. It is obvious – today the whole stadium will be for Ghana – let’s see if they make history. Also, The Wall Street Journal has a listing of “HOW MUCH ARE THESE TEAMS WORTH?” – that is in money terms. They found that the top financial value is on Spain at $38 Million average value per player – with Xavi Hernandez topping the list at $87.4 Million. They are followed by Brazil with $20.6 Million average and Kaka at $67.2 Million, and Argentina at $20.3 Million average but Lionel Messi at $107.6 Million – the top ranked individual player, of all players, these days. with last placed – 8. Ghana at just $3.4 Million average and Sulley Muntan at $17.5 Million top. Now, if you did not realize yet what underdog means – here you have it also in financial terms. Thanks Wall Street Journal for illuminating this aspect of the game and enlightening us. But, yes, we root for Ghana and hope the financial value will improve also. With Kofi Annan on board, the deviners of “THE AGE OF STUPID” will have the official global launch of the movie in a solar powered tent, on September 21st 2009, in New York, on the eve of the UN’s special meeting on Climate Change. The event includes children that will be pleading from the very hall in Copenhagen where their seniors will meet this November for the purpose of showing that they can do good. As an INclusive, rather than EXclusive event, everyone is invited to go to their local theatre to watch the VIPs arrive in Manhattan by boat, bike, rickshaw, chipfat car or skateboard, before braving the paparazzi on the green carpet. Following the first US screening of The Age of Stupid, there will be a further 40 minute live event featuring Kofi Annan, Gillian Anderson, Mary Robinson, the film’s director Franny Armstrong, the star of the film Pete Postlethwaite, and other leading thinkers, celebrities and political figures from around the world. Audiences will hear from scientists working in the Himalayas and Indonesian rain forest via live satellite link and from a group of children speaking from the very room in Copenhagen in which all our futures will be decided at the UN climate summit in December. Radiohead’s Thom Yorke will wrap up the evening with a short acoustic performance. The timings are: 7:30 PM ET/ 6:30 PM CT / 5:30 PM MT / tape delayed 8PM PT. For a taste of what to expect, have a look at the UK launch in March 2009, which produced just 1% of the emissions of a standard Hollywood event and which broke the Guinness World Record for biggest simultaneous premiere. But it seems that we might be about to hit critical mass press-wise: there were 28,009 new articles mentioning “The Age of Stupid” in the last 24 hours… Helped by the fact that we were on the front page of the New York Times last week. Think that needs repeating… We were on the front page of the New York Times last week – in the same sentence as Quentin Tarantino, for god’s sake – which has now been syndicated to all sorts of massive publications like the Herald Tribune, Scotsman and Business Week. Then yesterday we had a press screening at Paramount Studios – a thrill in itself – packed full of journos nodding furiously at my “the next three months will define our generation” line. Let’s hope they print it… Then came interviews with Time, Wall St Journal, San Francisco Chronicle and Hollywood Reporter, some of whom are talking about big feature articles on everything from crowd-funding to green carpets to 440 cinemas to Copenhagen. And to top it off, I had a “chat” (read: audition) with a “talent-booker” for a VERY big, VERY famous chatshow which is considering doing a feature on climate change. If they decide to include Stupid in their piece – possibly even with Pete or me on the sofa – then we will be catapulted into a whole new stratosphere awareness-wise. Tickets will be going on sale later this week. Latest exciting additions: Nigeria, Iraq and Sierra Leone. But Antarctica not looking so good, as there is no ship/plane going there before September who could drop a DVD off – and their broadband is apparently not up to downloading a whole film. Shucks. … was a bloody triumph. Lizzie hosting in Auckland, myself in Sydney, giant penguins walking the green carpet, koalas in boats under the Sydney Harbour bridge, top celebs crying, Keisha Castle-Hughes in a rickshaw, Piers the windfarm man getting a surprise phone call in his meeting in Cornwall and ending up speaking live to Oz & NZ, Senator Milne calling the Australian Government the “House of Stupid”, huge teams from Global Vision Networks, Green Elephant, LA Publicity, Oxfam and Greenpeace all working together seamlessly on either side of the sea, Lizzie’s Dad and my Mum together on the green carpet (not together together, obviously), the whole live-link-to-explorer-in-the-Arctic thing actually working, 20 mins on primetime NZ telly (between three different shows), the solar-powered tent in Auckland, Rod’s super-cool animation zooming from the whole globe right down to the Sydney Theatre, the writer of Happy Feet’s hilarious wisecrack, the singer of top Aussie band Cat Empire volunteering to play at Copenhagen…. Unbelievably, not a single element failed, which gives us mucho courage for the even-more-ambitious Global Premiere. My favourite bit of the whole thing was when we were speaking live to explorer Eric Philips in the Arctic. There was a time delay of a few seconds, so when the Sydney Theatre crowd gave him a massive cheer he just looked blank… for a few seconds… and then broke out into a massive green. -> Lizzie’s report of the NZ premiere here. -> The full video of the satellite broadcast will be up on our website as soon as Ade sends the tapes from Oz and Andy gets a chance to upload them. Niger is falling back from the position it held of being one of only three Sub-Saharan states with claim of being a democracy. When a President calls for a referendum in order to stay in power beyond his legally allowed time, he effectively ends democracy in his state. Less bustle at a market in Niger’s capital Niamey, as some heed calls for a strike to protest a constitutional referendum. 31 July 2009 – Secretary-General Ban Ki-moon today urged the people of Niger to refrain from violence and exercise the utmost restraint, days before they vote on a controversial referendum to change the national constitution to allow the current President to run for a third term in office. Mr. Ban “reiterates his support for an inclusive process to resolve the current crisis peacefully and in conformity with the country’s democratic values,” according to a statement issued by his spokesperson. On Tuesday Niger is staging a referendum that could endorse a constitutional amendment on presidential term limits and allow incumbent Mamadou Tandja to run for a third consecutive term. Mr. Ban said he was concerned that the referendum was taking place, “despite sharp differences among the country’s political stakeholders,” and he urged all sides in the impoverished West African country to show restraint. “The United Nations stands ready to support initiatives that would help resolve the current situation in a peaceful and sustainable manner,” he added. With importance to the US and the World – Expected Succession Crises this year in Egypt, Saudi Arabia, and North Korea. Anne Bayefsky of EYEontheUN.org has her take on the comparison of President Obama’s speeches in Cairo and Accra. Succession Issues Face Key U.S. Middle East Allies. WASHINGTON, Jul 12 (IPS) – Two key U.S. allies in the Arab world, Egypt and Saudi Arabia, are now both facing succession crises that may absorb, or even split, their political elites. This promises a period of political unpredictability ahead in both countries. It may well also complicate Pres. Barack Obama’s Israeli-Arab peace diplomacy, which is based centrally on the role these two large allies – and one smaller one, Jordan – can play in solving inter-Arab problems, reassuring Israelis, and helping to tempt everyone to the peace table. Since January, the head of Egypt’s military intelligence, Lieut.-Gen. Omar Suleiman, has been in charge of three key Middle East mediations. He has been mediating between Israel and the Palestinian movement Hamas over both strengthening the Gaza ceasefire and winning a prisoner exchange between them. He’s also been mediating a chronically elusive reconciliation between Hamas and the other big Palestinian movement, Fatah. Meanwhile, Washington is hoping this year, as always, that Saudi Arabia can buttress U.S. diplomacy with cash and some political leadership. Saudi Arabia has now won the support of all the relevant Arab leaderships, including Hamas’s political bureau, for a key 2002 peace initiative that promises Israel normal political and economic ties in return for a full Israeli withdrawal from lands occupied in 1967 and a fair resolution of Palestinian refugee claims. The Saudi king, Abdullah ibn Abdul-Aziz, will be 85 this August. His longstanding crown prince (and half-brother) Sultan ibn Abdul-Aziz, is 83, and was recently hospitalised for several weeks with suspected cancer. The big question regarding the Saudi succession hangs over whether, and how, the kingship will ever be transferred from the numerous ageing brothers and half-brothers who stand in line after Crown Prince Sultan, to the “next generation” of princes – some of the more senior of whom are already nearing 70 years old. Earlier this year, King Abdullah named his 76-year-old half-brother Naif ibn Abdul-Aziz as “second deputy prime minister”, a position that places him a likely – but not certain -second in line to throne after Sultan. When King Abdul-Aziz ibn Saud, the founder of the modern Saudi state, died in 1953, he left some 37 sons from his 22 wives. Various of these sons have ruled the kingdom in turn since then. Many of Abdul-Aziz’s sons had a dozen or more sons of their own. Saudi Arabia has no system of “primogeniture” (first-son succession.) Thus, there are hundreds of possible eventual claimants to the throne. Indeed, the youngest of Abdul-Aziz’s sons, Prince Muqrin, is, at 64, some years younger than several of the next-generation princes who now hope to become king. There have been no reports that any possible successor monarchs might want to change a foreign policy stance that, since the 1930s, has aligned Saudi Arabia very closely with Washington. But among the country’s political elite, including its princes, there are many differing views on domestic affairs, including oil policies, economic policies, the role of the country’s powerful religious institutions, and the role of women. In Egypt, meanwhile, there have been many recent reports that the country’s 81-year-old president, Hosni Mubarak, is ailing and finally eager to quit. Some reports say he has already told the Saudi monarch he may not even finish serving his current six-year term in office, which ends in 2011. Mubarak has led Egypt’s 76 million people since 1981. Throughout those years he has always refused to name a vice-president. Now, one of the two main contenders to succeed him is his 45-year-old second son, Gamal, who has held an important post in the ruling National Democratic Party (NDP) since 2002. Behind the scenes in Egypt, though, the military is still almost the same big force in the political system – and economy – that it has been since 1952. There is a considerable question whether the shadowy power centres in the Egyptian military will support Gamal Mubarak, an investment banker who has no record of service in the military. The fact that Suleiman has been tasked by Pres. Mubarak with diplomatic jobs that are so important to the broader progress of Washington’s regional peace diplomacy means this diplomacy may well become entangled in any succession struggle that occurs in Cairo. For example, if – as many well-placed Egyptians claim – Pres. Mubarak strongly wants his son to follow him in office, he may be less than eager to see Suleiman gain public kudos as a successful negotiator. There has been some questioning whether Mubarak may have set Suleiman up for failure by giving him overly strict parameters for his diplomatic chores. Certainly, though Suleiman has been heading all three of these building-brick negotiations since late January, he has not succeeded in any of them yet. Egypt’s succession struggle is connected to the broader diplomacy in another way, too. Hamas has nearly always been closely aligned with Egypt’s Muslim Brotherhood (MB), a broad, nonviolent Islamist movement that is the main challenger to Mubarak’s NDP. Mubarak has never allowed the MB to participate freely in Egypt’s regime-dominated politics, though during a brief and very partial democratic opening in 2005, its candidates won 88 of the 444 elected seats in the Egyptian parliament. If Suleiman succeeds in one or more of his diplomatic tasks, then Hamas would immediately gain much more international legitimacy as a valid participant in the broader peacemaking. Many NDP insiders fear that could reflect well on the MB, too. Ominously enough, the most recent round of reports about Mubarak’s failing health has been accompanied by new arrest campaigns against MB leaders and activists. It is possible that Egypt might see additional political heat during the coming summer months. Jordan is smaller and weaker than Egypt and Saudi Arabia. There at least, the ruling monarch, Abdullah II, has laid to rest – for now – the questions that once swirled around his succession. On Jul. 2 he appointed his son Prince Hussein as crown prince. But in Saudi Arabia and Egypt, political succession issues are now taking centre stage. *Helena Cobban is a veteran Middle East analyst and author. She blogs at www.JustWorldNews.org. NORTH KOREA LEADER KIM JONG IL REPORTED TO HAVE PANCREATIC CANCER. North Korea’s supreme leader, Kim Jong Il, is suffering from cancer of the pancreas and is in danger of dying of the disease, South Korean television reported this morning, the latest and most specific in a series of reports on the dictator’s health. The information, which was attributed by Yonhap Television News to unidentified Chinese and South Korean intelligence sources, is consistent with a report in a Japanese newspaper over the weekend that Mr Kim has a “serious pancreatic disorder”, and with television images from North Korea last week, in which he appeared a frail-looking Kim Jong Il, emaciated and slow on his feet. Mr Kim disappeared from public view for three months last year after what intelligence agencies assume was a stroke last August. Since then, judging from television footage of him, his health has declined. The South Korean intelligence agency has reported signs that Mr Kim is paving the way for his youngest son, Kim Jong Un to succeed him; unconfirmed reports have even had the 25-year old visiting Beijing to get to know officials of the closest thing North Korea has to an ally â€“ China. All year, Pyongyang has staged a series of verbal and physical provocations, including the launch of an intercontinental rocket and an underground nuclear test, which suggest that it has abandoned expectations of negotiation with the international community in favour of whipping up nationalist fervour at home. Thee are no obvious signs are that Kim Jong Il is in anything less than complete control, but close examination of recent internal developments leads many Pyongyang-watchers to the conclusion that he is leaning towards military hardliners, and away from the more reform-oriented advisers whom he favoured in the middle of the present decade. President Obama in Ghana: What He Refused To Say in Cairo. Stroking Muslim and Arab nations has become the hallmark of Obama’s foreign policy. Speaking in Ghana on Saturday President Obama lectured Africans on local repression, corruption, brutality, good governance and accountability. The startling contrast to his June speech in Cairo was revealing. Stroking Muslim and Arab nations has become the hallmark of Obama’s foreign policy. In Egypt, he chose not to utter the words “terrorism” or “genocide.” In Egypt, there was nothing “brutal” he could conjure up, no “corruption” and no “repression”. He made no such calls for action by the people of Arab states–despite the fact that not a single Arab country is “free,” according to the latest Freedom House global survey. Before the Muslim world Obama donned the role of apologist-in-chief. Over and over again his examples of shortfalls in the protection of rights and freedoms were American: the “prison at Guantanamo Bay,” “rules on charitable giving [that] have made it harder for Muslims to fulfill their religious obligation,” impediments to the “choice” of Muslim women to shroud their bodies. He might equally have said to the Arab and Muslim world: “It’s easy to scapegoat Israel and blame your problems on the presence of Jews–albeit on a fraction of 1% of the territory inhabited by the Arab world–but Israel is not responsible for poverty, illiteracy, torture, trafficking, slavery and oppression rampant across your countries.” But he did not. Instead, he turned on the only democracy in the Middle East and said the presence of Jews on Arab-claimed territory–settlements–is an affront to be “stopped.” It didn’t matter that agreements require ultimate ownership of this territory to be determined by negotiation or that apartheid Palestine is hardly a worthy pursuit. Ghanaians will likely turn the other cheek, secure enough to take it and even be grateful for the spotlight. But Obama’s double-standard is not a victimless crime. The disparity between the scolding he gave in Ghana and the love-in he held in Cairo illuminates an incoherent and dangerous agenda. These are devastating words for Iranians struggling valiantly to keep the hope of democracy alive but forced to bear witness to the contradiction. Betrayed, they have watched the Obama administration pledge to move forward on negotiations with illegally ensconced Iranian thugs–at the very same time their victims are being rounded up, tortured and readied for show-trials in advance of certain execution. On Friday, Obama, and the rest of the G-8 with his blessing, announced that thinking about more sanctions on Iran can wait until September. And then we can expect yet another round of Security Council dickering over minimalist responses to more Iranian stalling tactics–until an Iranian nuclear weapon is inevitable. Though it is 2,202 days since the U.N.’s atomic energy agency first declared that Iran was violating the nuclear non-proliferation treaty, Obama pretends legitimizing those same nuclear-proliferating fascists makes it more likely the clock will stop ticking. Iranians standing up for their allegedly “sacred rights” know Obama has it exactly backwards. Speechifying about “our interconnected world” and “common interests” in Ghana was cold comfort to the voices of Muslim dissidents and Jewish victims deserted in the Obama wilderness. Africa Looks to Obama – In Ghana, Obama Preaches Tough Love. The New York Times reporting was the best we found. If President Obama wanted to show Africa that he appreciates those states that made democracy a way of governing, he had just two choices before him – these were Ghana and Botswana. His clear intent was to go to Sub-Sahara, or black Africa, as this is the area from which people were brought to America as slaves, but these people contributed immensely to the powerhouse America has become – so, stopping for 21 hours in Accra, with his wife, children and mother in law – descendants of slaves – he also spoke to America – see that is part of our roots – no less then Europe! His previous trip to the African continent was to Cairo – but that was clearly a trip to the Arab world – Egypt and Saharan Africa are part of that world and not part of black Africa, even though in L’Aquila he had to shake the hand of Libya’s Muamar Gaddafi whom the States of all Africa appointed as the head of the African Union. Clearly that meeting had nothing to do with democracy nor with roots of America – even though it had one moment of grace – Libya, for whatever reasons, like South Africa and Brazil, are states that could have developed nuclear arms, but withdrew from doing so. The stopover in Accra was, we think so, the only one positive event of this week-long Presidential trip overseas. This was a redeeming grace for the week and highlighted the statement that the President will in the future look forward to a decrease in large Summits that are too big to produce any good. From our point of view in effect counterproductive and just an increase of unjustifiable CO2 emissions. We wonder even if the increase in the figure of an additional $5 Billion earmarked for Africa by the donors of the OECD could not have have been achieved in phone calls or by e-mails to Canada and the EU. President Obama and the first lady greeted President John Atta Mills of Ghana and his wife, Ernestina Naadu Mills, left, in the capital, Accra, on Friday. Group of 8 powers meeting in L’Aquila, Italy, for larger donations to the aid effort, citing his own family’s experiences in Kenya. As a result, the initiative grew from $15 billion over three years, which was pledged coming into the summit meeting, to $20 billion. At a news conference afterward, Mr. Obama said that when his father came to the United States, his home country of Kenya had an economy as large as that of South Korea per capita. Today, he noted, Kenya remains impoverished and politically unstable, while South Korea has become an economic powerhouse. He also criticized the culture of corruption in some African countries, saying that those who wanted to start a business or get a job there “still have to pay a bribe.” While wealthy nations must help, he said, poorer countries “have an obligation” to reform themselves. Other American presidents have called on African countries to take more responsibility for their countries’ problems and have pressed them to fight corruption, but none with Mr. Obama’s background. Just one generation removed from Africa himself, he occupies a powerful place in the African consciousness. – PRESIDENT OBAMA, on the need for reform in Africa. President Obama addressed the Ghanaian Parliament at the Accra International Conference Center on Saturday. President Obama traveled in Africa as a potent symbol of a new era but also as a messenger with a theme of responsibility. Obama in Africa: Welcome Back, Son. Now Don’t Forget Us. President Obama chose to stop in Ghana in recognition of the achievements since the end of the 1990s – but the true test of Ghana’s democracy lies ahead – some analysts fear that revenue from Ghana’s oil reserves could spawn the kind of corrupt elite seen in neighboring countries, potentially squandering years of democratic gains. Ghana glows in spotlight of Obama visit. Unlike its neighbors, Ghana has a stable democratic system and has made significant economic gains, including halving the poverty rate. It is the only sub-Saharan stop in President Obama’s trip this week, a choice that analysts say acknowledges its democratic and economic gains. By Robyn Dixon , July 10, 2009 Reporting from Accra, Ghana for the Los Angeles Times. The White House’s choice of Ghana as President Obama’s only port of call in sub-Saharan Africa this week has triggered envy across the continent. The visit, his first to sub-Saharan Africa since becoming president, is also being interpreted as a snub to those African governments with records of corruption, poor administration and tainted elections. “It makes sense that Obama would want to go to Ghana. Because Ghana is everything we are not,” wrote journalist Ayisha Osori in the Nigerian daily This Day. Was Ghana chosen because it has slashed its poverty rate nearly in half? Or for its successive democratic changes of government without a shot being fired? Or perhaps its yet-to-be exploited oil in a region where petroleum riches have encouraged the rise of corrupt, venal elites? “It’s a little bit of recognition of Ghana’s progress in democratic growth, peaceful electoral turnover, especially in a region otherwise full of reversals and disappointments,” said E. Gyimah-Boadi, head of the Accra-based Center for Democratic Development. Politically stable, Ghana stands out in a chaotic neighborhood. Nigeria, the regional oil power, has been hit by frequent militant attacks, pipeline explosions and kidnappings. Kenya, the homeland of Obama’s late father, was rocked by violence after a disputed presidential election in 2007; more than 1,000 people were killed. Ghana, with a population of 23.8 million, has become a regional leader since its transition from military rule to a multiparty democracy in the early 1990s. Its democratic advance contrasts with a history of coups and disputed elections elsewhere in Africa. “People are coming to understand what democracy is,” said Emmanuel Akli, editor of the independent Chronicle newspaper. Ghana’s economic growth has averaged more than 5% since 2001, according to World Bank statistics, although the country has been hit hard recently by the global recession. Its poverty rate has been halved to 28% in 2006 from 52% in 1992, according to the World Bank. Gyimah-Boadi argues that Ghana’s democratic reforms and poverty reduction go hand in hand. Its democracy also may have helped put a brake on corruption: Successive incoming governments have been quick to expose the misdemeanors of the previous regime. Critics, however, say these prosecutions are often political, and that a culture of transparency hasn’t really taken root. There are other flaws. Ghana ranks No. 135 among 177 countries on the United Nations human development index, a comprehensive measurement of quality of life. Analysts say the collapse of remittances and exports because of the global economic crunch could reverse the country’s progress. Some analysts fear that revenue from Ghana’s oil reserves could spawn the kind of corrupt elite seen in neighboring countries, potentially squandering years of democratic gains. They argue that the true test of Ghana’s democracy lies ahead. The global crunch has already hit Ghana’s job creation plan. More than 300,000 jobs were created in the last three years, according to the government. Accra, the capital, is full of people such as Abu Ayoma, 42, a father of three. He came to the city a decade ago looking for work and ended up as a laborer, carrying heavy loads. Three years ago, he began work for Zoomlion, a private waste management firm contracted by the government. As part of the National Youth Employment Program, Zoomlion hires and trains jobless people. The government pays the workers allowances. Accra’s canals are green and grassy, with neat “Do Not Litter” signs posted by Zoomlion. “People respect us. They always congratulate us on what we are doing. 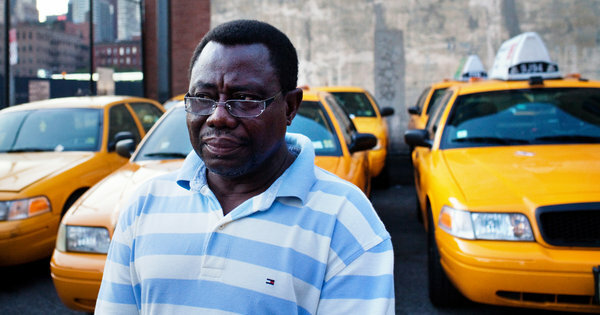 We clean up Ghana, so it’s good for the people,” Abu Ayoma said. The National Youth Employment Program also trains unemployed people to patrol neighborhoods at night, direct traffic, or work as community nurses or teachers. They may also serve in the military, customs or in prisons. “These programs do a tremendous amount in terms of poverty reduction. You have young people meaningfully engaged in work, young people who were doing nothing,” said Seibik Bugri, a spokesman for the program. These days, though the jobs program is in arrears, with payments running six weeks late. With the country aglow about playing host to Obama, Gyimah-Boadi fears the visit could make the people of Ghana complacent. He is afraid Ghana could face democratic setbacks — particularly when the oil money begins to flow. Transparency is still weak, checks and balances ineffective, news media independence isn’t well established and power is too centralized, he said. “It would be good if the [Obama] visit was used to encourage the incumbent administration and opposition to appreciate that they’re carrying a responsibility for themselves, for Ghana and for Africa,” Gyimah-Boadi said. After the first out of three days of meetings at the site of the earthquake-damaged city of L’Aquila, the protagonists Mr. Obama and Ms. Merkel, at the G8/G16 did not indicate that there is a chance of real progress by the end of these meetings – except for Africa’s agriculture..
Staff writer, The Japan Times online. – Japan Time – Thursday, July 9, 2009. ROME — With the relevance of the Group of Eight being challenged by emerging powers, the G8 leaders got down to business Wednesday addressing climate change and what their next move might be when and if the global recession subsides. But the launch of the three-day G8 summit in L’Aquila was spoiled even before it began, with Chinese President Hu Jintao returning home to get a handle on the ethnic riots tearing apart the restive city of Urumqi in the northwest. A shadow also grew over the climate change issue as chances appeared slim that the Major Economies Forum on Energy and Climate, or MEF, would be able to hammer out long-term greenhouse gas emissions cuts, Japanese diplomatic sources said. The key multinational emissions forum was to meet Thursday on the sidelines of the summit in the Italian mountain town. The sources said MEF preparatory negotiations failed to bridge the gap between members of the industrialized and developing countries, effectively dashing hopes of achieving a substantial agreement. Hu’s absence exacerbated the MEF discord, the sources said. An initially prepared MEF draft declaration pledged a global emissions reduction of 50 percent by 2050, with industrialized countries promising an 80 percent cut in the same time frame, they said. The 17-member MEF was established in March under the initiative of U.S. President Barack Obama to complete the groundwork for forging a new international carbon-capping framework to succeed the 1997 Kyoto Protocol, which expires in 2012. Along with the G8, major greenhouse gas emitters China, India and Brazil are also members of the MEF. Despite the forum’s apparent inability to produce tangible results, the G8 was nevertheless expected to issue a joint statement on climate change later in the day, in addition to discussing the global economy, the sources said. The eight leaders were expected to share views on how not to jeopardize the “green shoots” of recovery being seen in some areas, as well as “exit strategies” for reversing the heavy fiscal stimulus that many countries embraced to revive their economies, the sources said, adding that how to stave off global unemployment was also on the agenda. During a working dinner, the G8 was expected to focus on political matters, including domestic unrest in Iran and North Korea’s nuclear threat. Obama and his Russian counterpart, Dmitry Medvedev, who agreed Tuesday to reduce the size of Russia’s nuclear arsenal, were expected to lead the discussion on global denuclearization. For Prime Minister Taro Aso,denuclearization and how to end North Korea’s nuclear threat are expected to be key concerns. Earlier this month, Foreign Ministry officials in Tokyo listed five key themes for this year’s summit: Iran, North Korea, global denuclearization, the Middle East peace process and the war in Afghanistan. The L’Aquila summit concludes Friday after assistance to Africa is discussed. But with emerging economic powers like Brazil and India being kept outside the discussion framework, critics say any talks held within the G-8 alone are incapable of resolving global economic issues. In that sense, the Thursday meeting with the emerging powers will have more relevance than the G-8 itself, they said. But Japanese officials defended the G-8 framework, saying its agreements are still influential in forming the base for discussions with other economic powers. The G-8 includes the United States, Britain, Canada, Japan, Italy, Germany, France and Russia. President Obama of the US came to Rome after having achieved an agreement with the Medvedev/Putin leadership of Russia on what concerns nuclear arms reduction and certain aspects of non-proliferation. Those issues allow thus for US leadership at the G8 meeting. On the other hand, at the Obama created G-16 + the EU and the UN meeting on climate change, the fact that the US is well behind Europe on the main issues on Global Warming, the US is really not in position of leadership. Prime Minister Gordon Brown of the UK is in very weakened internal position so he is no great asset at the G8 table. Canada’s Prime Minister Stephen Harper leads now a weak minority government and does not radiate influence either. Japan’s Prime Minister Taro Aso is just as weak at home as Messrs. Brown and Harper and thus not really in a leadership position either. Italy’s Berlusconi, thanks to his personal peccadilloes, is rather an international joke, even though his countrymen may think his behavior charming. His country-women – that is those that did not profit from his closeness – may think differently. Germany’s Chancellor Angela Merkel is in best position of them all when it comes to the issues of climate change, but in what concerns applying stimulus packages in Europe she is just slow or lacks interest as she saw that this might not have brought in the US the results that the Obama administration was promising to Americans and the world. She clearly has no intention to cooperate in what she is not convinced that it works, and is also critical of the US lack of progress in alternatives to the old fossil-fuels based economy. We do not think that President Obama will be able to convince her to change her mind during the three days of these meetings. France’s President Nicolas Sarcozy is strong politically at home – so here no problems – but when it comes to evaluating his two years in office, one has difficulty finding his international agenda – thus another non-leader for these events. Russia’s double-headed eagle – President Medvedev and Prime Minister Putin – will rest on the perch and don’t expect them to lead either. Looking at the above and at the ruins of the earth-quake damaged Italian age-old city of L’Aquila, one can only hope for reconstruction if the world is going to see a better economy in the future and in the process also create a program of what to do with the pesky issue of climate change. Let us face the reality that there is little chance to achieve progress at the July 2009 meetings. Thursday there is the meeting of 17 members that is the G16 + the EU – or actually the G8 + G5 (Brazil, India, China, Mexico, South Africa) + Australia, Indonesia, Korea, and the EU. Those are the 17 that were invited to participate at the State Department building, in Washington DC, meeting for climate talks under the Major Economies Forum (MEF) April 27, 2009. That meeting was organized by Secretary of State Hilary Clinton. Later there was also a meeting in Mexico City and in September 2009 they will have yet another meeting in Pittsburgh. The intent was to come up with an agreement to be presented before the Copenhagen climate meeting this December. OK – so where are we now? Did the US and China formally agree on how to proceed jointly on the effort to find a G2 solution? But really we will not find out if this is the case on Thursday, July 9, 2009. Chinese President Hu Jintao returned home today to deal with the ethnic riots tearing apart the restive city of Urumqi in the Muslim Northwest Province of Xinjang, and without him present there is little sense for the Thursday meeting. India also does not seem to be ready to let the OECD countries of the hook so indeed setting only long term targets without well funded immediate action will not do this time. India just released its budget plans and worldwide there are reactions that the government did not plan enough as stimulus packages either. Indeed, Secretary of State Hilary Clinton will be going mid July to India like she did go to China at the start of her taking over at State. Will she be able to come up with better understanding with India, while it seems to the Indians that the US is back to a pre Bush China-first policy? Also Indonesia will not be there as President Yudhoyono just was having a reelection campaign that it seems he won. Friday is the last day and it is dedicated to the provision of funds for Africa. OK – this subject will get some figures and it will be $15 Billion that President Obama pushed for – as aid for poor farmers – and when President Obama will be on Saturday in Ghana he will be able to present those figures to his African hosts. Our prediction is thus that from L’Anquila the main product of these meetings will be a new promis for Africa. Will it be funded this time in reality – that is something to check upon later. But then a serious review regarding Africa is really in the making indeed. The key is to be henceforth less reliance on food aid from subsidized produce in the US and the EU, and more investments and help in order to build up local agriculture in Africa – as the future economy of Africa. Some of the African NGOs have finally spoken up that the relliance on food hand-outs has destroyed Africans’ potential to feed themselves. Will the real legacy of L’Anquila be that the G8 has lost its relevance in a world where most of the so called great economies are indeed dependent for their well being on some of the members of the lesser G5? With China, India and Brazil not part of the august post-World War II group is there any reason for the separate G8 pow wow? Would not going directly to a more updated group have been more effective? Then what about the EU? Could it not be practical to letthe member states finally decide that they could speak with one voice? If that is not the case why litter the G16 with an added presence at a time that the UN is rightly not mentioned at all? G8 must galvanise talks on warming. The summit meeting of the Group of Eight industrialised nations that opened in Italy on Wednesday looks increasingly like an event in search of a purpose. The more broadly based G20, including China and India among others, is the place where deals on the global economy are being done. So what is the point of the G8? The answer should be: to galvanise the debate on climate change. A consensus is needed between the rich and poor for a new deal to slow down global warming. It is supposed to be finalised by the United Nations at Copenhagen in December. But to have any hope of progress there, the leaders gathered in L’Aquila this week must give a clear sense of direction. The European Union has been consistently in the lead in setting ambitious targets to cut emissions. The good news now is that the US president is engaged and enthusiastic. Barack Obama will co-chair Thursday’s meeting of the 17-member Major Economies Forum, including both China and India. The bad news is that Hu Jintao, the Chinese president, has gone home to deal with the ethnic unrest in Xinjiang. But that should not give an excuse for indecision. The first ominous sign is that the two sides have not agreed on a target of halving global emissions by 2050. That is the minimum necessary to ensure that the rise in global temperatures should not exceed 2 degrees Celsius, the danger level agreed by scientists. It would require the developed economies to cut their emissions by 80 per cent, to allow developing economies to pollute more as they grow faster. But China is not prepared to sign up to the target until there are more concessions on the table. It is hard to understand, as China stands to be a big beneficiary. India is also playing hard to get. Delhi will not move on a complete package until there is more money on the table, with rich countries paying the poor to mitigate the effects of global warming, and adapt to them. Such an attitude could scupper any deal. The G8 leaders can and should do more. In particular, they should start work on a commercial mechanism via the cap-and-trade system to finance bigger transfers from rich to poor. That would be politically more acceptable than straight handouts. The EU might also unilaterally increase its target to cut emissions in 2020 from 20 to 30 per cent. Both the US and Japan need to set more ambitious targets for 2020 as well as 2050. But in the end, a deal on climate change is not just for the rich to do. The poor will suffer most if it fails. The Group of Eight industrialised countries yesterday agreed to more stringent cuts in greenhouse gas emissions than ever before. The G8, meeting in Italy, pledged to take on the lion’s share of the emissions reductions scientists say are needed, with cuts of 80 per cent by 2050 for developed countries. This would contribute to a hoped-for target of halving emissions globally by the same date. They also resolved to try to hold global temperature rises to no more than 2 °C above pre-industrial levels, which scientists regard as the limit of safety. This is the first time such a target has been formally adopted in a leading international forum. Gordon Brown, UK prime minister, hailed the deal as “historic”. But British officials said there was “no chance” that these targets would also be agreed by a wider group of countries, including emerging economies, meeting today on climate change. Leaders of 16 of the world’s biggest greenhouse gas emitting countries are meeting at the G8 at the request of Barack Obama, US president. He called the meeting, known as the Major Economies Forum, which he is co-chairing with Silvio Berlusconi, Italian prime minister, to break the deadlock in climate change talks aimed at producing a successor to the Kyoto protocol at a conference in Copenhagen in December. It is the first time leaders of all the big emitters have held a summit on climate change. The United Nations secretary-general held a meeting for world leaders in 2007, but George W. Bush, then US president, turned up only for the dinner at the end. However, China and India have so far refused to agree to the target of halving global emissions by 2050, despite assurances that the G8 will take on the largest slice of the burden. The early departure of Hu Jintao, China’s president, from the meeting yesterday made any change in position even less likely. One of the aims of the MEF was to bring leaders of the main emitting countries together so that they could allow their environment ministers – who attend the UN negotiations – greater latitude in making a deal. Anantha Guruswamy, Greenpeace programme director, said China and India had refused to sign up to the global target because the G8 club of rich nations had not put forward proposals for financing emissions cuts and measures to adapt to climate change in poor countries. “It is up to Obama to show leadership on this,” he added. Beijing and Delhi also want rich countries to agree higher targets on cutting emissions by 2020 than they have come up with. The 16 countries in the MEF produce 80 per cent of the world’s carbon emissions. The European Union and Denmark, as host of the Copenhagen conference, also attend its meetings. to be a bit more exact the first 9 out of the 16 – CO2 emissions in billions of metric tons, 2006 are as follows – and if you wish it is about 75% just for the first 8 total and they are not the old G8. Obama insists world climate accord possible. Barack Obama, US president, insisted on Thursday there was still time for the world to agree binding commitments to cut greenhouse emissions, in spite of stalemate at the G8 summit in L’Aquila. Mr Obama takes centre stage in the Italian town on Thursday when he chairs a session on global warming, bringing together 17 rich and emerging economies, including China and Brazil. US diplomats say there is no chance that the countries will agree to cut world emissions by 50 per cent by 2050 â€“ from a still undecided baseline of 1990 or later. They are however likely to agree on an aspiration to stop temperatures rising more than 2 degrees centigrade compared with pre-industrial levels. The early departure of Hu Jintao, China’s president of China, from the meeting made any change in position on cuts even less likely. But Mr Obama believes an agreement on binding intermediate targets â€“ for a deadline sometime before 2050 â€“ can be reached before a UN climate change summit in Copenhagen in December. Robert Gibbs, White House spokesman, said Mr Obama told President Luiz Inacio Lula da Silva of Brazil that “there was still time in which they could close the gap on that disagreement in time for that important [meeting]”. Mr Obama is seen as a pivotal figure in reaching any Copenhagen agreement, but months of tense negotiations lie ahead. India, China and other big emerging economies want to be sure the west is serious about meeting medium term targets for cutting emissions before they commit themselves. They also want money to help them clean up their industries. The credibility of the G8 on climate change was challenged by Russia, which had earlier signed up to a communique by the group committing wealthy nations to an even more ambitious 80 per cent cut in emissions by 2050 â€“ again with a still undecided baseline. The Russian delegation however has questioned whether such a long-term target is meaningful. Secretary-General Ban Ki-moon is heading today to the Italian city of L’Aquila, where he will meet with the leaders who are attending the annual summit of the Group of Eight (G8) industrialized nations, after wrapping up his first official visit to Ireland. In a letter sent to G8 leaders ahead of their 8-10 July summit, Mr. Ban highlighted climate change and development as some of the current challenges requiring action. Among other things, Mr. Ban asked G8 governments to take the lead on the issue of climate change by making “ambitious and firm commitments” to slash greenhouse gas emissions by 25-40 per cent, the levels the Intergovernmental Panel on Climate Change (IPCC) says are required on the part of industrialized countries to ward off the worst effects of global warming. On development, the Secretary-General urged the G8 to outline how donors will scale up aid to Africa over the next year to fulfil the commitments the Group made at its summit in Gleneagles, Scotland, in 2005. Mr. Ban departed for Italy from Ireland, where he met today with Irish Defence Minister Willie O’Dea. They travelled to the McKee Barracks, where the Secretary-General met with a group of veteran UN peacekeepers from Ireland and also took part in a ceremony paying respect to Irish peacekeepers that made the ultimate sacrifice while serving the Organization. The UN chief is scheduled to travel again next week to attend the 15 July Summit of the Non-Aligned Movement in Sharm el-Sheikh, Egypt, where he will deliver an address encouraging the group to build on its leadership role to address some of today’s challenges, including disarmament, the economic crisis and the achievement of the Millennium Development Goals (MDGs). The eight MDGs â€“ which range from halving extreme poverty to halting the spread of HIV/AIDS and providing universal primary education â€“ have a target date of 2015, as agreed by world leaders in 2000. West Africa as it is – and the first visit to the region by an American President – and what a President! Some interesting information for President Obama before he hits this week Ghana. Here some further reasons why he chose to avoid some of the other West African countries. Whatever, the question is now how far can he go if he decides to speak truth to their closed ears. Africa watch and learn! President Obama showed preference for clean government if this is at all possible by going to Ghana rather then Nigeria. We expect he will meet there also Mr. Kofi Annan who could tell him a thing or two about the UN. President Obama will this week become the first African American President to make an official visit to an African country. The most interesting fact is that he does not go to South Africa or Nigeria – the two countries that compete for the unofficial title of leaders of black Africa. President Obama decided to go to the oil producing belt of West Africa, and this cut out South Africa; then he chose the unassuming Ghana, rather then the feisty Nigeria – the most populous black state and important partner of the US in oil trade. Why? What does he teach in this visit? Ghana on the other hand, a much smaller West African nation, as of now with little US trade, did hold fair multiparty democratic elections since 1992, and has a history of incumbents stepping down once they reach their term limits. Ghana is a beacon of hope to Africa and has produced the only two-terms African UN Secretary-General, Koffi Annan, who we hope will be at hand when President Obama arrives for a day at the end of this week. Yes, we know, it is rumored that the US is interested in Ghana also as it is the newest arrival to the West Coast Oil-belt, and with China making inroads in the region, the US might be interested to establish here a military base as well as an oil trade relationship. But even so, this US President showed preference for clean government if this is at all possible. Oil boom in Ghana may be its undoing – Ghana’s weak institutions might not be ready to handle the burdens of an expected influx of cash from a burgeoning oil industry. Report Warns of ‘Resource Curse’ Ahead of Oil Boom. WASHINGTON, Mar 5, 2009 (IPS) – The recent discovery of oil in Ghana could undermine its democratic development, warns the international aid agency Oxfam America and the Integrated Social Development Centre (ISODEC) in Ghana. The report, “Ghana’s Big Test: Oil’s Challenge to Democratic Development,” issued Thursday, says that Ghana’s weak institutions might not be ready to handle the burdens of an expected influx of cash from a burgeoning oil industry. On the verge of an oil boom that could bring millions into the country, the report says, Ghana must make significant changes to support transparent, accountable and efficient development of the industry and the billions in government revenue it will generate. The report makes extensive recommendations to the government, oil companies, donors, civil society and journalists to move quickly but deliberately in the face of the coming oil boom. The 2007 discovery of the major offshore ‘Jubilee’ oil field has generated enormous interest in the country’s oil production potential. Analysts warn that Ghana’s government, led by newly elected President John Atta Mills, should be careful to guard against the “resource curse” which has devastated other resource rich African countries. Last year, Africa produced 12.5 percent of the world’s oil through significant investment and exploration throughout the continent. But the continent’s rise in the oil sector has yet to translate into tangible benefits for Africa’s poor. Resource rich countries in Africa have actually experienced lower growth rates than countries with scarce resources. Ghana remains different from its neighbours. It is an “African success story,” said Gary. Ghana is one of the most peaceful and relatively prosperous countries in West Africa. The democratic election of Mills in January, in the closest vote in Ghana’s history, makes the West African nation one of the few African countries to successfully transfer power twice from one legitimately elected leader to another. However, Ghana still remains poor. According to the report, almost 80 percent of Ghanaians live on less than two dollars a day. The new National Democratic Congress (NDC) administration is facing a widening budget deficit, weakening currency and rising inflation. Finance Minister Kwabena Kuffuor presented the government’s new budget to parliament Thursday. The budget forecasts growth to fall to 5.9 percent in 2009, from 6.2 last year. It aims to cut the fiscal deficit to 9.4 percent of gross domestic product (GDP) by the end of 2009, down from 14.9 percent at the end of 2008. The new government hopes that oil revenues will help accelerate the country’s efforts to meet the anti-poverty U.N. Millennium Development Goals by 2015. The start of oil production is scheduled to begin in late 2010 or 2011 and estimates are that Ghana will be producing approximately 120,000 barrels of oil per day, along with significant quantities of gas. The International Monetary Fund has predicted that government revenues from oil and gas could reach a cumulative 20 billion dollars – from just the Jubilee field – over a production period from 2012 through 2030. Though the last 20 years have seen a boom in mining investment in Ghana, this has led to small government revenues, increased conflict between companies and local communities, and the removal of families from their lands and increased environmental degradation. Many are worried that without proper regulations in place before the start of drilling the oil boom will spell the same fate. According to the report, the previous New Patriotic Party (NPP) government launched a “homegrown” effort to tackle the challenges of the oil era, establishing technical committees composed of government staff and expatriate Ghanaians to address issues from the fiscal regime to gas utilisation. The state oil company, the Ghana National Petroleum Corporation, has made some disclosures to the public, but key details remain secret, including the oil contracts as well as the development plan for the Jubilee field. The new government “does not have a clear national policy for the oil sector,” Manteaw said. A second revision of the petroleum regulatory authority bill, first drafted by the NPP government, is now being discussed in parliament. The recommendations set out by the report include transparent revenue and payment practices; advising companies to volunteer to disclose their payments and contracts and participate in Ghana’s Extractive Industries Transparency Initiative; open and competitive contract bidding; and active monitoring and participation by civil society. The report also recommends that the government enact a moratorium on signing new licenses, so that they can organise an open bidding round and allow the country’s legal and institutional framework to ‘catch up’ to the pace of oil development. While the oil discovery has attracted the attention of many eager foreign investors, the report cautions that Ghana must control the pace of the development of the petroleum sector so as to not let commercial developments outstrip the capacity of the government and society as a whole to meet the myriad challenges. “Pacing can lead to better negotiating deals (over time),” added Oxfam’s Gary.